At the core of humanity, people want to do good, but they often need a push to take the first step, writes international speaker and Achieve president Derrick Feldmann, who was the keynote speaker at the 2017 FIA Conference in February. Think about the first organisation you ever truly cared about and became involved with on your own (separate from being asked to join in with friends, family, company, etc.). How did you come across this organisation? What made you care about the work they did? What prompted you to participate with them? If you’re like most people, you became involved with the cause because it supported a social issue you cared about – and someone or something related to that cause inspired you to take the first step. For example, if you weren’t passionate about arts and culture, would you give to your local arts organisation? If you didn’t really care about cats and dogs, would you volunteer at your local animal shelter or Humane Society? Probably not. But if you’re very passionate about women’s rights and come across a cause that supports the issue, you’re more likely to figure out how to become involved with that organisation in one way or another. At the core of humanity, people want to do good. They desire to give their time, money and skill to help others, and they want to feel connected to others in a community. Unfortunately, a gap exists between the desire to do good and actually doing it. While people may be interested in or care about issues, the vast majority of people still sit on the sidelines when it comes to taking action on their behalf. So how do you get the people who care about the issue your cause addresses to act for it? And once they’ve taken some action, how do you influence them to support your cause financially? other people who are involved with the issue and whose beliefs about the issue align with theirs. To get people to take action for an issue, they have to be provided an opportunity to do so – though it doesn’t have to be big. Publish meaningful content they can share on social media or create an online group to foster communication and community. Though they might not yet associate your cause with the issue they’re supporting, getting people in the habit of doing something instead of nothing is an important initial step. Once a person is in the habit of taking small actions in support of an issue, they need to know how your organisation is connected to it. Educate them on how your cause addresses the issue and how your work makes a difference. Offer opportunities to get more involved (like rallies, events or volunteering) and focus on creating a community with your supporters. Informing people about the good work your cause is doing is a crucial step in leading them to a state of potential giving – but now you need to take your efforts further. While it’s important to inform people about how their individual donation helps the cause, it’s easy for people to feel despair if they don’t think their financial support is big enough to make a difference. Reiterate the sense of community and inclusion, and help supporters understand how your organisation combines their dollars with that of others to enact change. A request for donations should be based on an individual’s desire to become even more involved by supporting the community financially. In doing so, it’s important to recognise how all of their involvement with your cause in addition to their donation leads to change, and to not undervalue the other important actions they’ve taken so far for the issue. No matter the level, it’s vital to continuously define and recognise how an individual’s involvement makes a difference for the issue your causes addresses. This small action on your part keeps alive both support of and belief in the community your organisation has brought together. People want to do good, and they often need a push to take the first step. Moving people from interest in an issue to action for your cause isn’t always quick or easy, but it creates a lifelong community of supporters committed to creating change. 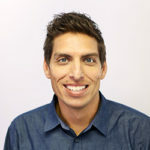 About the author: Derrick Feldmann is the president of Achieve, a research and marketing agency for causes, and the author of Social Movements for Good: How Companies and Causes Create Viral Change, now available from Amazon and Barnes & Noble. He gave the keynote address in the opening plenary of the 2017 FIA Conference in February.